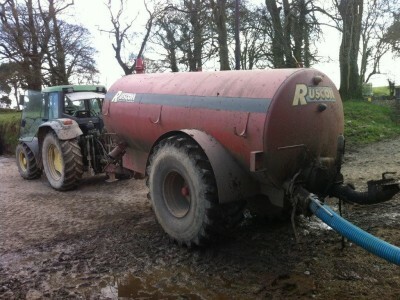 Home » Environment » Is it against the law to spread slurry off the road? Is it against the law to spread slurry off the road? Despite some respite from the rain in recent days, waterlogged ground conditions in many parts of the country are making it impossible for farmers to get slurry out onto land. 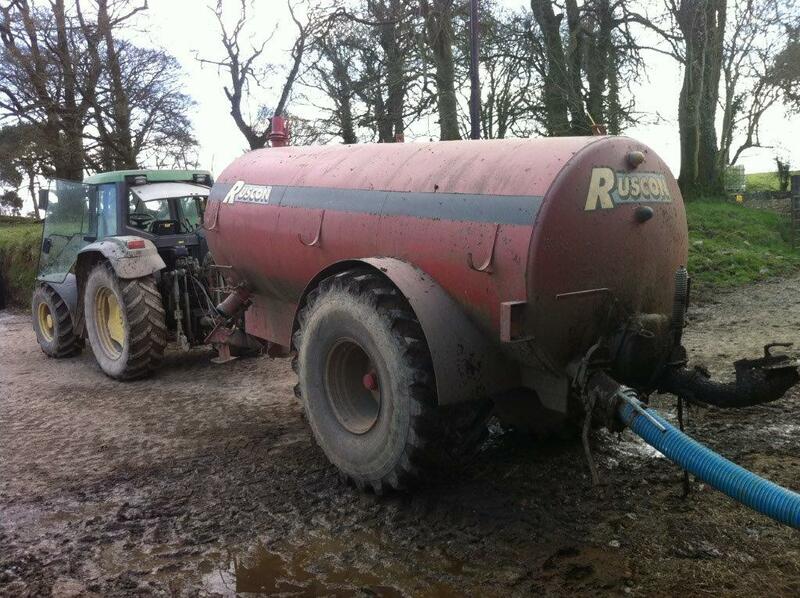 As a result, there have been several reports of desperate farmers spreading slurry from the road into their fields. So is this practice legal? The Department of Environment, Community and Local Government are the lead Department with responsibility for the implementation the European Union (Good Agricultural Practice for Protection of Waters) Regulations 2014, commonly known as the Nitrates Regulations. Article 18 (2) (4) (d) of the regulations prohibits the application to land of organic fertilisers from a road or passageway adjacent to the land under any circumstances. As far as these regulations are concerned the spreading of slurry from the road into fields is illegal. What to do with flooded slurry tanks? The Department of Agriculture has issued guidelines for farmers whose holdings have suffered serious flooding in recent weeks and months. The severe winter weather has caused serious flooding in many areas of the country but particularly in Connaught, Munster and the midlands where some farmland has been seriously affected by the exceptionally high level of rainfall. In emergency cases, farmers will be permitted to pump some water out of flooded tanks but only for animal welfare reasons. This concession will apply only in those areas that have been severely affected by flooding. Tanks should not be agitated before pumping. Use a sludge pump if possible rather than a vacuum tanker. The suction pipe should be inserted almost to the bottom of the slurry tank so that solids are not removed. If water is already above the level of the central passageway or the apron, then there is no point in pumping at all because water will continue to flow into the tank. In these cases, animals will have to be removed from the sheds.